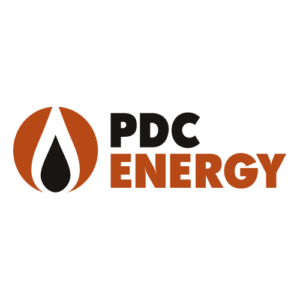 DENVER, Jan. 04, 2017 (GLOBE NEWSWIRE) — PDC Energy, Inc. (“PDC” or the “Company”) (Nasdaq:PDCE) today announced that on December 30, 2016, it closed the acquisition of approximately 4,500 net acres in Reeves and Culberson Counties, Texas, from Fortuna Resources Holdings, LLC, for approximately $118 million in cash, subject to certain post-closing adjustments. PDC’s working interest in the acquired leasehold is 100 percent and PDC expects to operate 100 percent of the properties. The acquired properties are concentrated in the Company’s Central acreage block contiguous with the Company’s acreage from the recently closed acquisition of approximately 57,000 net acres in Reeves and Culberson Counties. Current net production associated with the acquisition is approximately 300 barrels of oil equivalent per day. Also included is a drilled, but uncompleted (“DUC”) horizontal well, and a salt water disposal well. The Company estimates the acquired acreage contains 75 gross one-mile horizontal drilling locations, based on four wells per section in each of the Wolfcamp A, B and C zones. This estimate is based on the assumptions utilized by the Company in its prior Delaware Basin acquisition. The Company plans to integrate the newly acquired acreage into its development drilling plans for its Central acreage block. Fortuna Resources Holdings, LLC, is a Permian Basin focused independent oil and natural gas producer sponsored by certain affiliates of Och-Ziff Capital Management Group LLC (NYSE:OZM). For a map related to this transaction, visit ‘Newsroom’ on the ‘Investor Relations’ page on PDC’s website at www.pdce.com. About PDC Energy, Inc .
PDC Energy, Inc. is a domestic independent exploration and production company that produces, develops, acquires and explores for crude oil, natural gas and NGLs with operations in the Wattenberg Field in Colorado, in the Delaware Basin in West Texas and in the Utica Shale in southeastern Ohio. Its operations are focused on the liquid-rich horizontal Niobrara and Codell plays in the Wattenberg Field, the liquid-rich Wolfcamp zones in the Delaware Basin, and the condensate and wet gas portion of the Utica Shale play. Statements in this news release, other statements other than statements of historical fact, are forward-looking statements that are made pursuant to the Safe Harbor Provisions of the Private Securities Litigation Reform Act of 1995. Words such as expects, intends, estimates and similar expressions or variations of such words are intended to identify forward-looking statements herein. These statements relate to, among other things: potential drilling locations on the properties acquired, potential increase in estimated reserves and the integration of the acquired properties into the Company’s development drilling plans to meet lease obligations. Forward-looking statements are subject to a number of risks and uncertainties that may cause actual results to differ materially from the forward-looking statements. PDC urges you to carefully review and consider the cautionary statements made in this press release, the registration statement, the Item 1-A Risk Factors in the 2015 Annual Report on Form 10-K for the year ended December 31, 2015, filed with the Securities and Exchange Commission (“SEC”) on February 22, 2016, and other filings with the SEC for further information on risks and uncertainties that could affect the Company’s business, financial condition and results of operations, which are incorporated by this reference as though fully set forth herein. The Company cautions you not to place undue reliance on forward-looking statements, which speak only as of the date made. PDC undertakes no obligation to update any forward-looking statements in order to reflect any event or circumstance occurring after the date of this release or currently unknown facts or conditions or the occurrence of unanticipated events. All forward looking statements are qualified in their entirety by this cautionary statement. Copyright © 2016. Fortuna Resources LLC. All rights reserved. Web design by BIG THINK Web Creative.